During the Information Session of this event, a series of information stations with various agencies and organizations involved in pipeline operation, maintenance, safety, spill cleanup, and more were available. The public could visit the stations according to their individual interests or concerns. Below are descriptions of the agencies and organizations that had an information station at the event. American Petroleum Institute: API is the only national trade association representing all facets of the oil and natural gas industry, which supports 9.8 million U.S. jobs and 8 percent of the U.S. economy. API’s more than 600 members include large integrated companies, as well as exploration and production, refining, marketing, pipeline, and marine businesses, and service and supply firms. Enbridge: Enbridge is a leading transporter and distributor of energy in North America, transporting about 2.5 million barrels of crude oil every day by operating the world’s longest liquid petroleum pipeline system. This system includes the Lakehead Pipeline System that has been running through Michigan and across five Midwestern states for more than 60 years, transporting North American crude oil and natural gas liquids to refineries in the Great Lakes region and beyond. Enbridge meets 50 percent of Midwest refinery capacity, and about 15 percent of total U.S. petroleum imports arrives via Enbridge’s system through Superior, Wisconsin. Enbridge operates a total of 930 miles of pipeline in Michigan on pipelines 17, 79, 5 and 6B. Line 5, part of the Lakehead Pipeline System, is a 645 mile pipeline beginning in Superior, Wisconsin and ending in Sarnia Ontario. Health Department of Northwest Michigan: The Health Department of Northwest Michigan (HDNW) is mandated by the Public Health Code to promote wellness, prevent disease, provide quality health care, address health problems of vulnerable populations, and protect the environment for the residents and visitors of Antrim, Charlevoix, Emmet and Otsego Counties. The Health Department holds primary responsibility for the surveillance, investigation, and prevention of waterborne illness in Northwest Michigan. These activities cover private homes and small public water supplies, such as schools, day care centers, restaurants, churches, and businesses. As the permitting agency for wells and on-site sewage systems in its four-county Health District, HDNW employs sanitarians who are the local experts for the impact on public and private drinking water. As the local experts on public and private wells and drinking water, HDNW would assist emergency management in the emergency operations center in the event of a pipeline incident with regards to environmental impact and as representatives of Health and Human Services section. 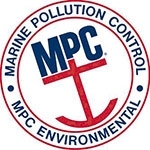 Marine Pollution Control: Marine Pollution Control Corporation (MPC) of Detroit, Michigan, is a full service environmental response organization. Founded in 1967, MPC was one of the first oil spill response companies in the nation, as well as in the world. In 1989, MPC gained international recognition when providing the emergency oil transfer crews and systems that removed the oil remaining on board the stricken tanker Exxon Valdez near Valdez, Alaska, resulting in the safe recovery of 40 million gallons of crude oil and thus mitigating the environmental contamination fourfold. The company maintains salvage and oil spill response equipment around the Great Lakes region, in 18 strategic ports around the United States, and overseas in Hong Kong, Singapore, and the United Kingdom. MPC is classified by the U.S. Coast Guard as an Oil Spill Removal Organization (OSRO) for all operational areas in the Great Lakes, serving a wide number of different oil and gas and marine transport companies in that capacity. Michigan Department of Environmental Quality (MDEQ): MDEQ is a principal state department responsible for enforcing compliance with provisions of the Natural Resources Environmental Protection Act. The Water Resources Division has oversight of pipeline installation and maintenance of pipelines that traverse natural resources of the state including those that are located in/under/over lakes, streams, wetlands and the Great Lakes. The Remediation and Redevelopment Division (RRD) oversees responsible party cleanups, addresses public health and environmental threats at locations of environmental contamination, and facilitates brownfield redevelopment. DEQ is part of Michigan’s Pollution Emergency Alert System (PEAS) and provides technical assistance to local, state, and federal agencies in emergency response situations, as well as having the ability to mobilize limited resources should the need arise. 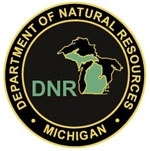 Michigan Department of Natural Resources: The Michigan Department of Natural Resources (MDNR) is committed to the conservation, protection, management, use and enjoyment of the state's natural and cultural resources for current and future generations. In the event of an oil spill, MDNR provides technical expertise to the Federal On-Scene Coordinator to minimize harm to threatened and endangered species, migratory birds, freshwater fish, and their supporting habitat. MDNR also assists with the collection and rehabilitation of oiled and injured wildlife. Michigan Environmental Council (MEC): MEC is a coalition of more than 70 organizations created in 1980 to lead Michigan’s environmental movement in achieving positive change through the political process. MEC combines deep environmental policy expertise with close connections to key state and federal decision makers, decades of experience getting things done in the political process, and an ability to rally broad and powerful alliances in support of reforms. With our member groups and partners in the public health and faith-based communities, MEC promotes public policies to ensure that Michigan families will enjoy clear waters, clean beaches, beautiful landscapes and healthy communities for years to come. Michigan Public Service Commission: The mission of the Michigan Public Service Commission (MPSC) is to grow Michigan's economy and enhance the quality of life of its communities by assuring safe and reliable energy, telecommunications, and transportation services at reasonable rates. The Michigan Public Service Commission approves construction of new petroleum pipelines in Michigan under the Crude Oil and Petroleum Act of 1929. Pipeline and Hazardous Materials Safety Administration (PHMSA): The Pipeline and Hazardous Materials Safety Administration (PHMSA) is a United States Department of Transportation agency responsible for developing and enforcing regulations for the safe, reliable, and environmentally sound operation of the nation's 2.6 million mile pipeline transportation system and the nearly 1 million daily shipments of hazardous materials by land, sea, and air. Pipeline Safety Trust: The Pipeline Safety Trust is a nonprofit public charity promoting fuel transportation safety through education and advocacy, by increasing access to information, and by building partnerships with residents, safety advocates, government, and industry, that result in safer communities and a healthier environment. Tip of the Mitt Watershed Council: Tip of the Mitt Watershed Council speaks for our members including full-time and seasonal residents, lake associations, and businesses. We work to maintain the environmental integrity and economic and aesthetic values of lakes, streams, wetlands, and ground water in Northern Michigan, as well as statewide and throughout the Great Lakes Basin. As the lead organization for water resources protection in Antrim, Charlevoix, Cheboygan, and Emmet Counties, the Watershed Council is working to preserve the heritage of Northern Michigan – a tradition built around our magnificent waters. 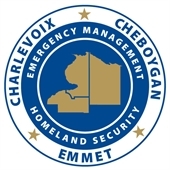 Tri-County Office of Emergency Management: The Tri-County Office of Emergency Management is responsible for local public safety/emergency services coordination across the northern Michigan Counties of Charlevoix, Cheboygan and Emmet. Emergency Management protects communities by coordinating and integrating all activities necessary to build, sustain, and improve the capability to mitigate against, prepare for, respond to, and recover from threatened or actual natural disasters, acts of terrorism, or other man-made disasters. Additional services include: preparation of emergency response plans/protocols, training of public safety first responders, and deployment of the Special Response Unit to local Incident Commander's to help manage a large scale environmental release or other disaster. U.S. Coast Guard (USCG): Protecting the delicate ecosystem of our oceans is a vital Coast Guard mission. 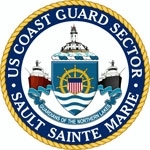 The USCG is responsible for maintaining the Northern Michigan Area Contingency Plan. The purpose of the plan is to provide updated area information, specific response organizations, and detailed plans for the containment, cleanup and disposal of oil and hazardous substance discharges and releases. The USCG Incident Management Team stands by ready to respond to any actual or potential discharge of oil or hazardous substance in the Sector's Area of Responsibility. Moreover Sector Sault Ste. Marie is responsible for planning and exercising a response to oil spills, hazardous substance releases, biological or radiological incident that occur in the coastal zone. It is their responsibility to ensure the community's readiness to mitigate the impact of an incident on public health, the environment and the economy. U.S. Environmental Protection Agency (EPA): EPA is an agency of the U.S. federal government which was created for the purpose of protecting human health and the environment. EPA's Emergency Response Program On-Scene Coordinators manage and direct cleanup of oil spills which result from inland pipeline failures where navigable surface waters are threatened. They also work with the Coast Guard and oil transporters to develop contingency plans and conduct exercises for potential spill scenarios.